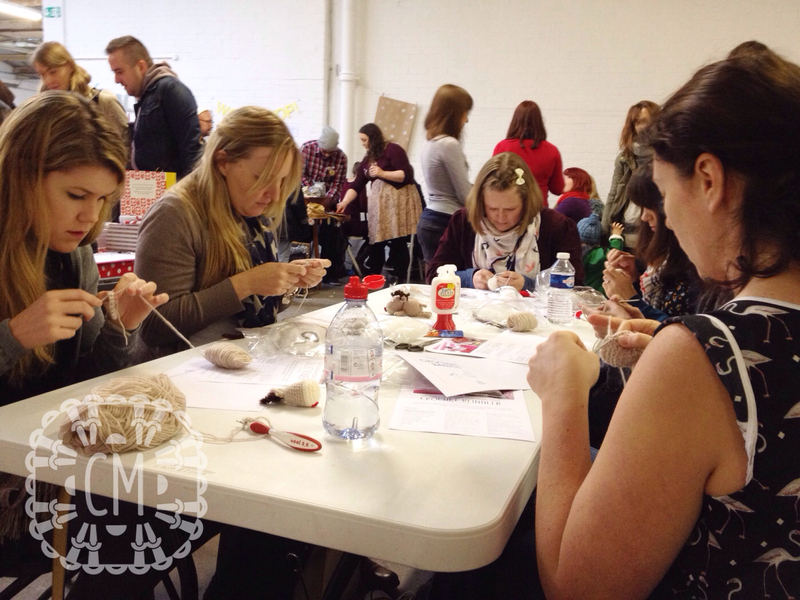 Cara Medus – Page 2 – Crochet designer, technical editor and trainer. Creative encourager. You know the score. You’ve been making crochet circles the same way since I Don’t Know When, but they are never quite right – the seam, having to smooth out the corners… I’ve been trying to find a way of improving on the basic crochet circle where you close off each round with a slip stitch. This is easy to work and easy to count, but the slip stitch at the end of the round creates a visible seam, and you also need to stagger the increases to stop the ‘corners’ becoming obvious. The second way of doing it is the spiral. This has the advantage of losing the seam, but it is more tricky to keep track of the stitch count (stitch markers may be needed! ), and when you have finished there is a visible ‘step’ at the end which needs smoothing out. It also doesn’t work if you want to work a different colour for each round. It is a much smoother circle than the traditional ‘closed off’ method. It has probably been done before at some point, and although I couldn’t find anything like it when I searched, it may be lurking somewhere! Round 4 Ch1 (does not count as stitch), (2dc in next st, 4dc) repeat to end of round. Round 4 Ch1 (does not count as stitch), (4dc, 2dc in next st) repeat to end of round. There will be an increase stitch either at the beginning or the end of the round unless you are staggering the increases. This ‘perfect circle’ method requires the increase stitch to always be the first stitch of the round, but instead of working both of those increase stitches in the first stitch at the same time, you will work one of those stitches at the beginning of the round, complete the round, and then work the second of those increase stitches in the same stitch as the first stitch to close off the round. 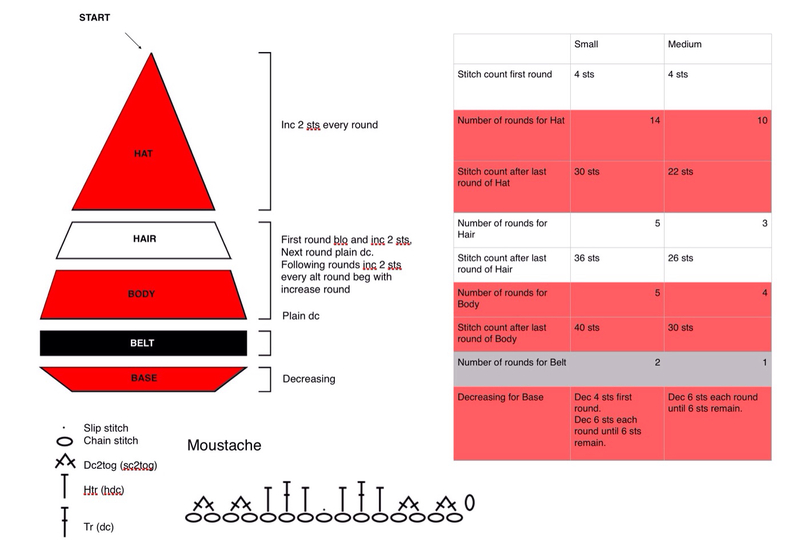 I’ve written out the pattern below, and then the walkthrough photographs explain each step in detail. Make a magic loop or other foundation ring. Round 1 Ch1, 6dc into the loop, do not close off with a slip stitch. Continue in the same fashion, increasing 6 sts evenly every round, splitting the first increase over the beginning and end of the round, and working in the beginning ch-1 sp. Before fastening off, slip stitch in the next stitch. Work 6dc into a magic loop as you would do usually for a circle. Ch1, 1dc into first st, 2dc into each of next 5 sts. You will now have worked 11 stitches out of 12, so work the last dc of the round in the same stitch as the first st of the round to complete it. You will see that what would have been 2dc in the first stitch of a conventional circle has been ‘split’, so that 1 of those 2 dc has been worked at the beginning of the round, and 1 at the end of the round. At this point you will have 12dc worked for the second round, but you may notice that the first stitch of the round is more or less covered up by the last stitch. You will skip this covered first stitch at the beginning of the next round, which will mean that there are only 11 stitches numbered on the photo for the next round. When you ch1 at the start of the next round, it will provide an extra stitch in which to work. This image shows the ch1 and first st of the next round. You will see that there are now 12sts in which to work the next round. The first stitch of this round counts as the first increase stitch, which will be completed at the end of the round. The pattern for this round in a conventional circle is (2dc in next st, 1dc), and as we have already worked what counts as the increase st, work 1dc in the next st, before 2dc in the following stitch. Continue around until the last 4 stitches of the round, and the following image will show where to work the last 4 stitches of the round. The last 4 stitches of the round (marked in red and yet to be worked on the image) will be an increase, a dc worked in the ch1 at the beginning of the round, and a dc in the same stitch as the first dc of the round to complete the increase stitch. This round is now complete. If you try and count the stitches once you have finished the round by counting the top ‘bumps’ of the stitches you will always appear to have one less stitch than you should have, but it’s ok – it’s just because the beginning and end stitches aren’t joined that it appears this way. This confused me no end when I was working this out! 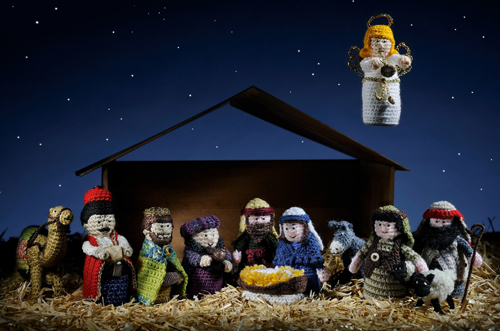 My crochet nativity set is now available for download on Apple Newsstand! 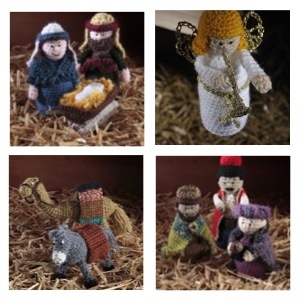 There are 12 patterns included, for Mary and Joseph, the crib with Baby Jesus, 2 shepherds, 3 wise men, an angel, a sheep, camel and donkey. 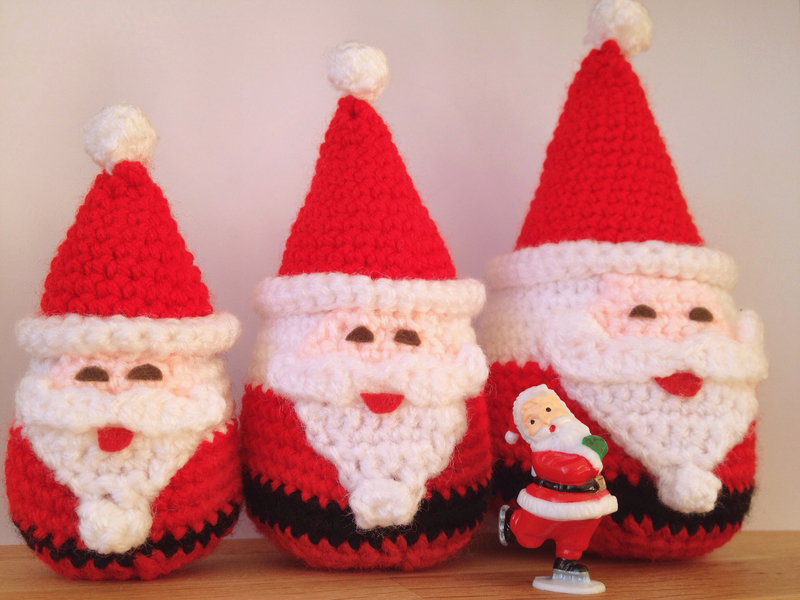 There are more images over on the Simply Crochet blog, and if you’d like a free taster, the angel pattern is posted there too. 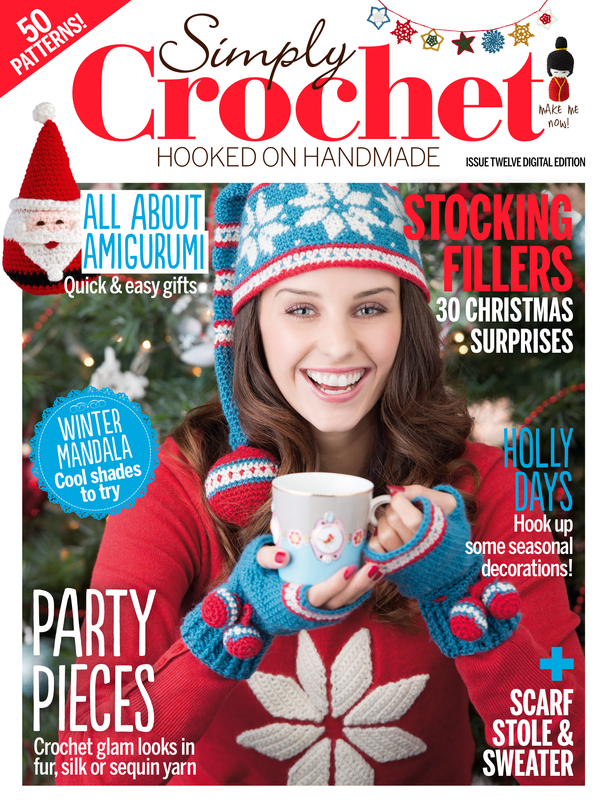 To download the pattern from Newsstand, search for and download the Simply Crochet app, and it is available from within the app. 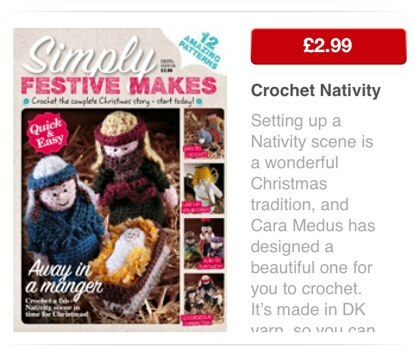 It’s also available within the Simply Knitting, The Knitter and Mollie Makes apps. 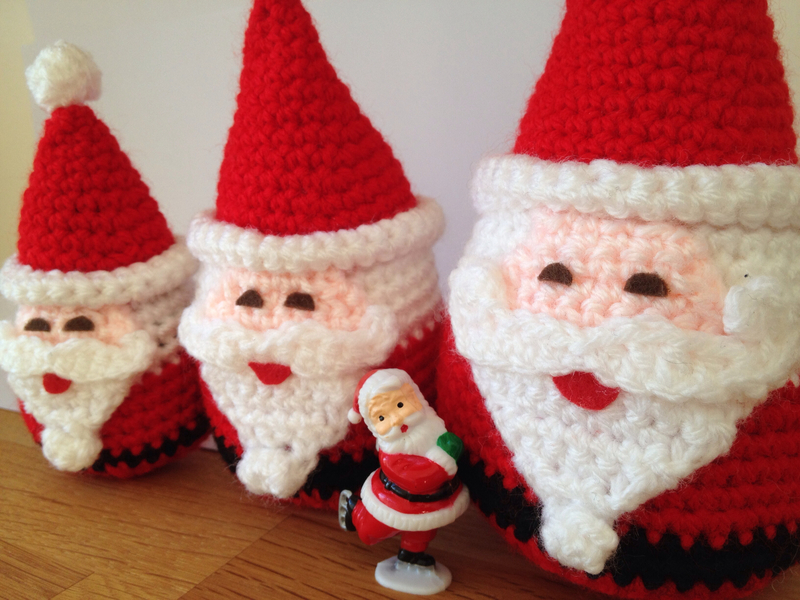 If you make it, please do let me know, and send me some pics – I’d love to see them! Waterstones have put a free project download from the Mollie Makes Crochet book on their website, and it just happens to be the monster Kindle cover I designed – yay! It turns out that Waterstones have a hidden treasure-trove of craft projects hidden away in the ‘Waterstones Card’ section of their website. For a direct link to the project pdf, click on the image above. I love this little guy, he was such fun to make! He is one of a set of three monster gadget covers and some Russian dolls I made for the book – see my previous post, Mollie Makes Crochet Book. 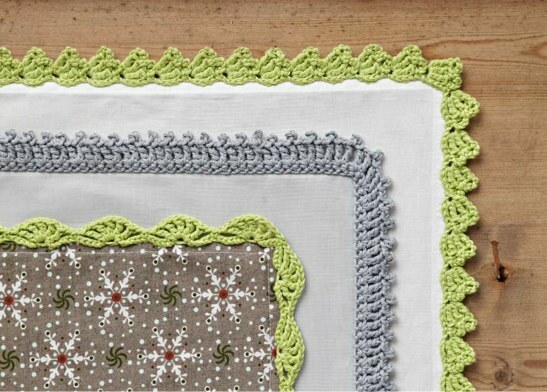 I love crochet edgings! 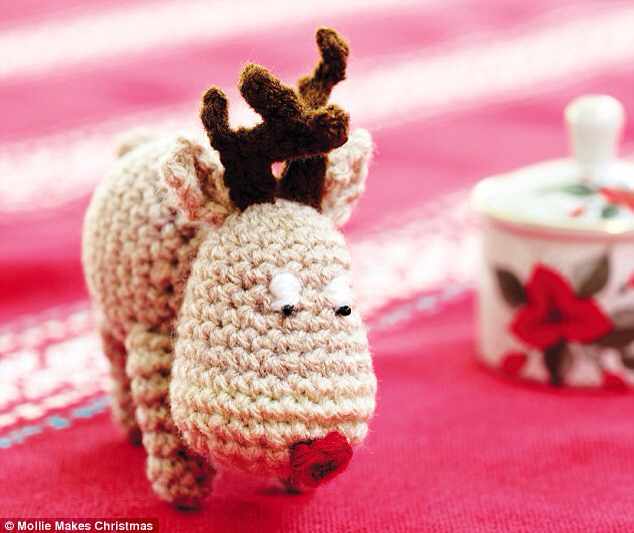 They’re quick and easy to do and add a lovely hand-made touch to something a little bit ordinary. When I was designing these edgings for Issue 11 of Simply Crochet magazine, I was mindful of the fact that edgings are sometimes a bit of a faff to do. Very often you know how long the edging needs to be, but if you’re following an edging pattern that starts with a foundation chain, the chain itself isn’t a very reliable guide to how long the finished edging piece will turn out. Foundation chains are notoriously fickle, and once you’ve worked a few rows, the finished piece can turn out quite a different length from the original chain because the tension of the chain, and the tension of rows of stitches, varies quite a bit. One of the solutions to this problem is to work a foundation chain quite a bit longer than you think you will need, because it’s a relatively easy job to unpick the extra chains that aren’t needed after you’ve worked a couple of rows. This was the instruction I gave for a couple of the edgings above, but the one on the outside of the image is worked using a different method. Instead of making a chain as long as the edging needs to be, the pattern is written to be worked back and forth in short rows, so you can adjust the length to fit as you work. I thought I’d try and come up with some more patterns like this that are ‘back and forth’ edgings, worked in short rows. Here are three more designs, with the most straightforward one at the top. 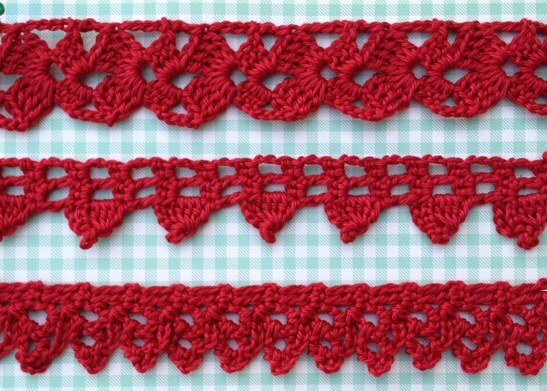 For all of these edgings I used DMC Petra #3, and a 2.5mm (US B/1 or C/2 hook). 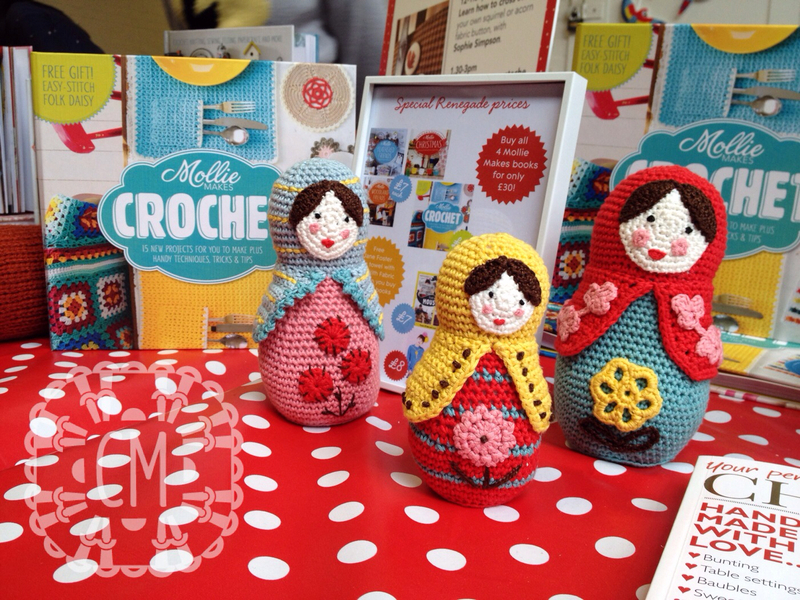 UK crochet terms are used throughout. Ch6 and ss into the first ch to join into a ring. Repeat Rows 2 and 3 until your edging is the desired length, fasten off and weave in ends. Row 2 Ch1 (does not count as st), 4dc, turn. Rows 7 and 8 As Rows 3 and 4. Repeat Rows 5-8 until edging is the desired length, fasten off and weave in ends. This is my favourite because it’s so well behaved! I like the way the trebles without any turning chain make a neat firm edge along the top, and of the three this one is most suited to working around curves like a neckline because there is a bit of ‘give’ in it. Incidentally, in the first image above I shot it from the wrong side, so I’ve flipped the image below to match the chart and the direction of working. Repeat Rows 4 and 5 until edging is desired length, fasten off and weave in ends.